Morning: Welcome to Tacoma’s newest hotel, ideally located in the Brewery District, Holiday Inn Express + Suites - Tacoma Downtown. 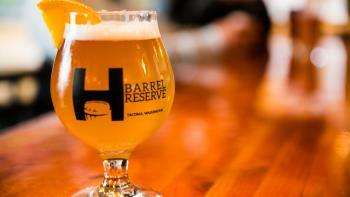 Load up on their complimentary breakfast for a day-full of Tacoma + Pierce County, WA beer tastings. Before you begin the brewery tour, make sure to get onto the South Sound Craft Crawl so that you can earn prizes while enjoying local brews. Afternoon: Stroll across the street for lunch at the first stop on the brewery tour, Harmon Brewery. Share appetizers with the group or feel free to order on your own and make sure to pair it with a delicious beer. Want to try more than one? Ask for their signature “beerski” [a beer tasting flight served on a ski] for a wide variety of Harmon brews. Head out into eastern Pierce County to the town of Buckley and pay a visit to Elk Head Brewing Company. Known for their experimental brews, Elk Head Brewing Company is a favorite Western Washington microbrewery. If you like heat, try the Blast Zone, a spicy, smoky, chile-peper ale. It’s definitely a tongue-warmer. As you begin making your way back to Tacoma, do some more tastings and have an afternoon snack at the Puyallup River Alehouse. Featuring their own line of beers and those of other Pacific Northwest brewers, you are sure to find one to please your palate. 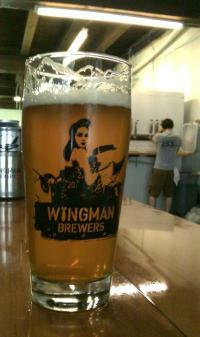 Evening: As you make your way back to Tacoma, your final stop will bring you to Wingman Brewers. Inspired by Tacoma’s history of honest hard work, Wingman Brewers craft their beers to tap into that legacy. To absorb all your samplings, end the day with dinner at The Swiss Restaurant + Pub. Known for their wide selection of beers and delicious food, there is no better place to end the day than The Swiss.